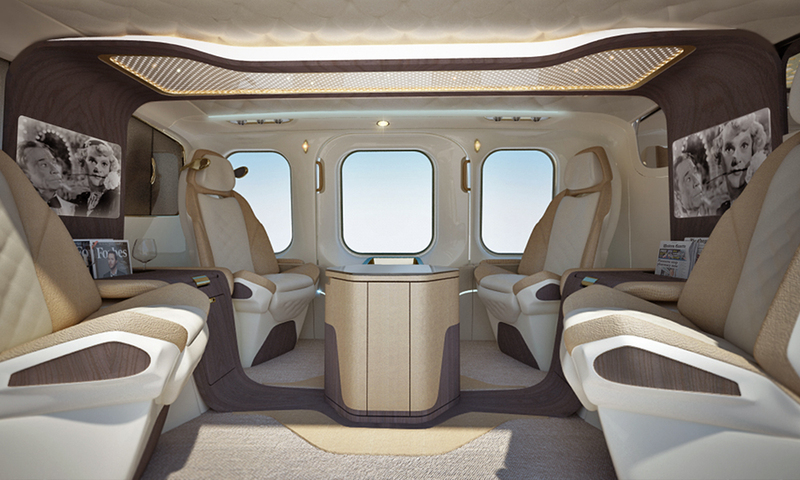 Luxurious and exclusive helicopter interior design. 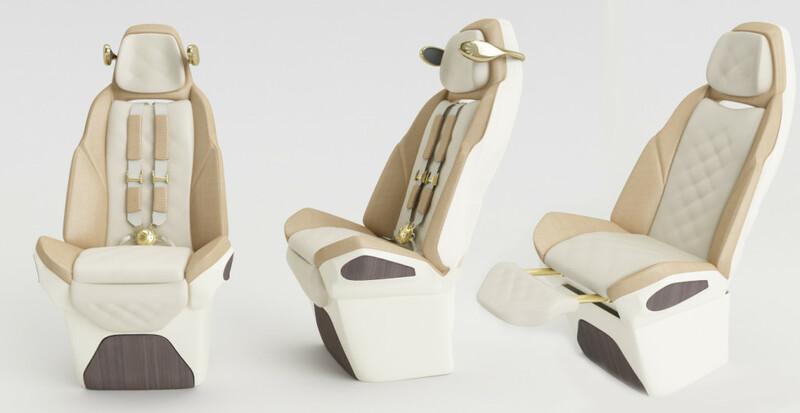 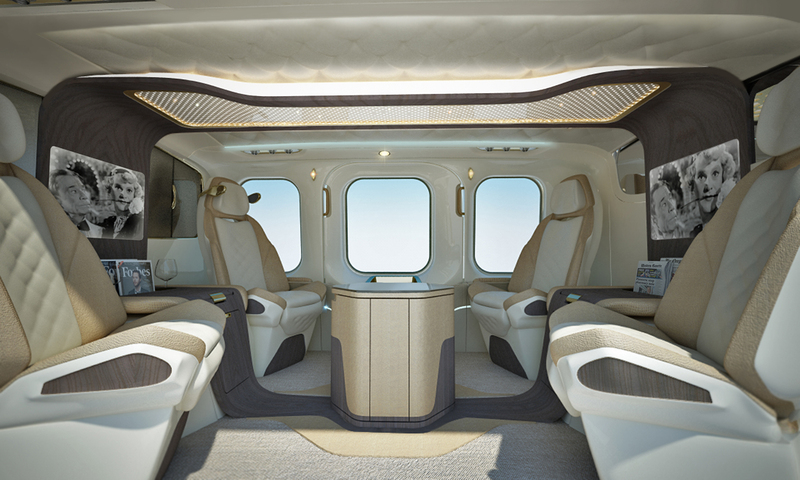 Helicopter insides provide maximum comfort for either work or leisure. 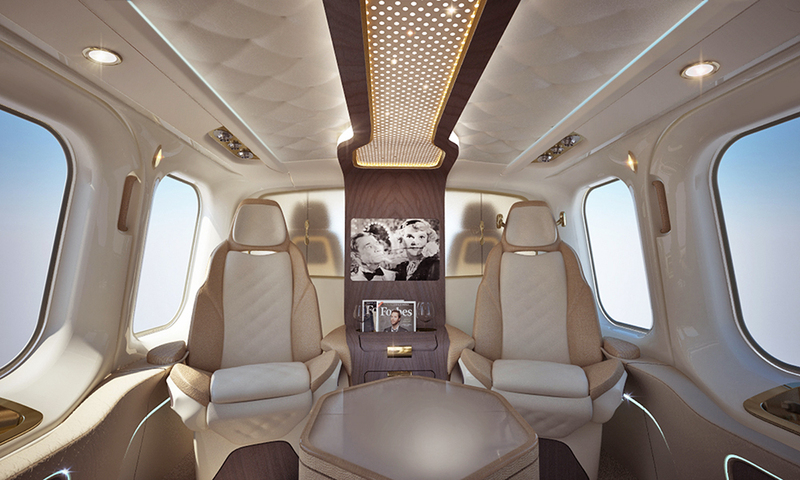 It is fully equipped with mini bar, home movie system, integrated LED lighting dimmable to create the right atmosphere, adjustable full leather seats. 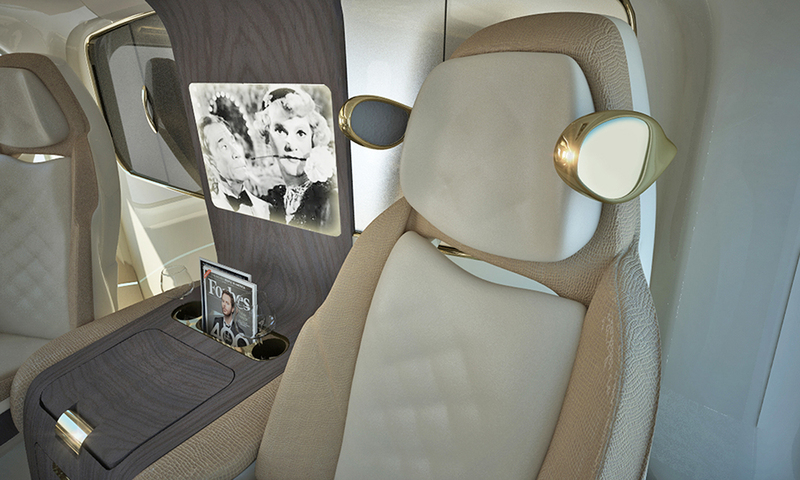 This premium tailor-made interior cockpit has been conceived to use only unique and rare materials.